All Categories › User account and Security › What is 2FA and how to turn it on? This adds a second layer of defence and makes it almost impossible for anyone but you to access your account. Log into your account and click Security on the settings page. 4. Put the validation code in the below field. That's it! 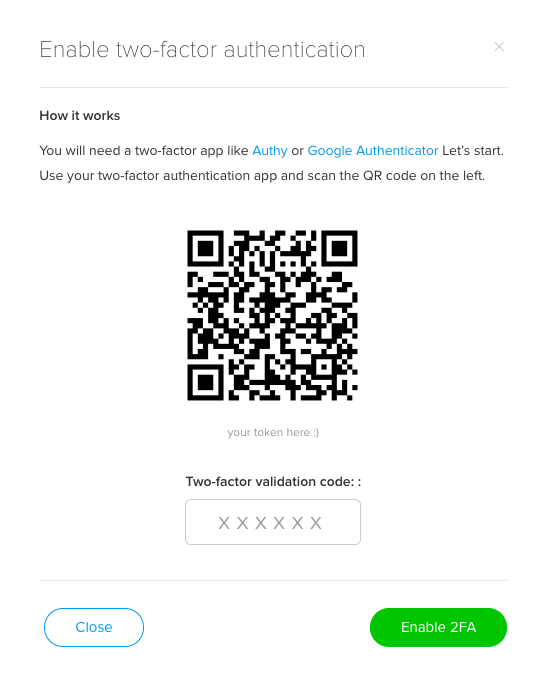 Now your account is protected with Two-Factor Authentication.